We have packed Olivia's summer schedule full of lots of classes. David takes her to some on Saturdays and to swim lessons every Monday thru Thursday! I do a Mommy & Me Pottery class, an art class and now a dance class too. Well, at least I thought I was doing a dance class with Olivia. As soon as we got to our first class this morning, the teacher told all of the moms to wait outside of the room while the kiddos danced. I was a little nervous at first, but Olivia did great! I watched her through the doorway as she danced her little tutu off! I bought a ballet camp through Living Social for next week. It's two hours a day for four days. I'm comforted by today to know that she will do well listening to the teacher and will also have fun dancing with a new group of kiddos! 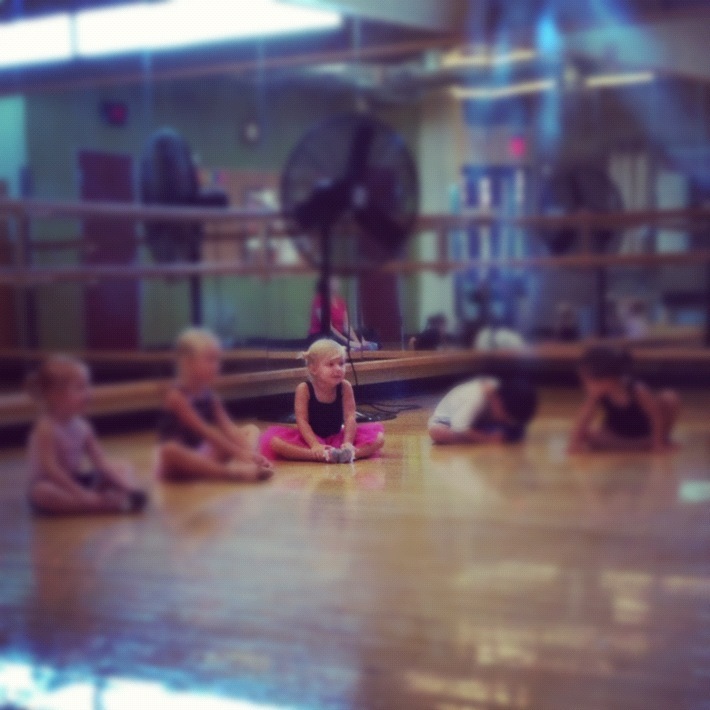 It's just the cutest thing watching her dance. Love this girl. Can't wait to see how she does in her 2 hour class!! I need to send you the picture I took of her posing at our house. Then you can add it to this or future blogs. Sooo precious! Love that lil gal to the moon and back.